Most students are approaching their 100th Day of School. Our kids are excited for Thursday, February 5th to celebrate their 100th Day by dressing up like they are 100 years old! See how other students celebrate in Natasha’s Wing’s creative poem. when I started to worry. What’ll I bring into school? I need something in a hurry. Most kids had their 100 items ready for the party at school: 100 pencils, 100 cars, 100 jelly beans, 100 gold stars. 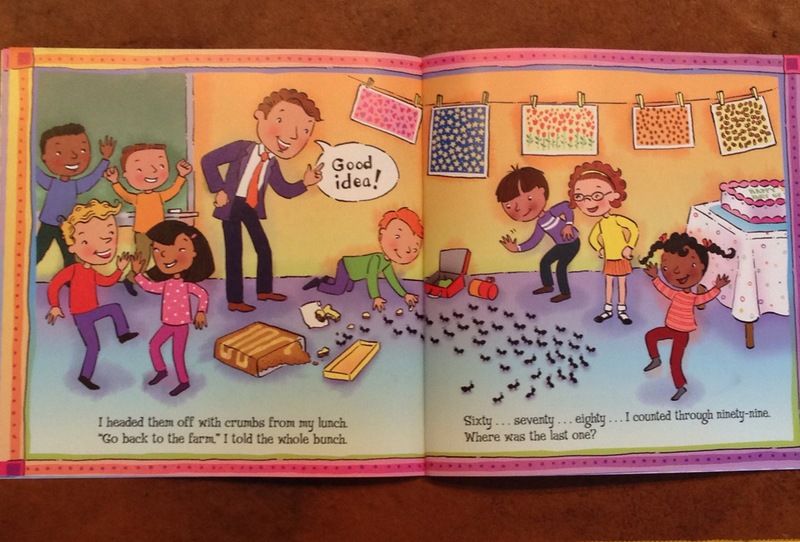 But, every time the main character, a young boy, counted his items, he came up short . . .until he thought of something that no one else would bring: ants! and the last ant is in . . .
It’s time for our party. Then we blew out the candles. 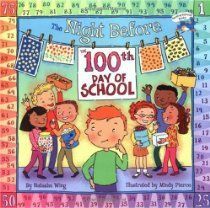 F- How do you feel about the night before a special event, like the 100th Day of School? R- Can you relate to how the students celebrated the 100th Day of School in this poem? How does your class celebrate? D- Develop a “Before & After Picture” of yourself by folding a paper in half and labeling the sides: “Before ____Grade” and “After 100 Days in ____Grade” . . . Include changes such as physical characteristics (i.e. lost baby teeth, change of hair dues, height), academic growth (concepts you learned so far), social growth (friends you’ve met), and such. S- Share your favorite parts of the first 100 days of school with the class by drawing pictures in the 00’s of 100 on computer paper or poster board. . . Brainstorm: What subject have you liked the most? What activity have you enjoyed? What’s your favorite activities at recess? What’s your favorite school lunch? 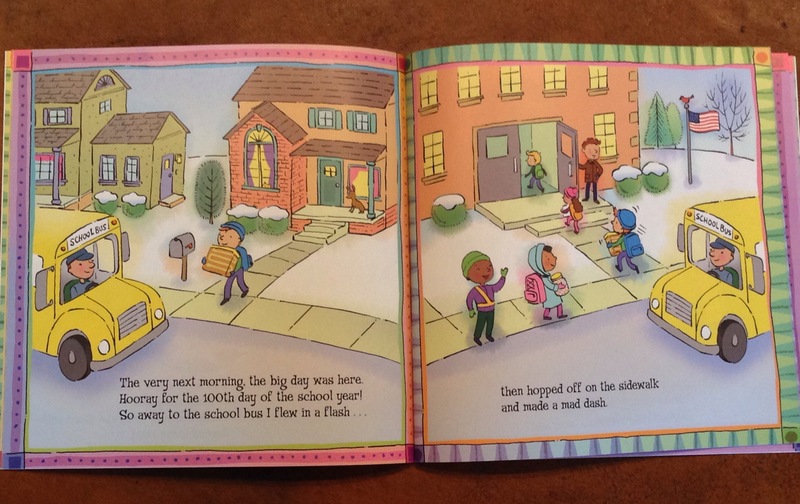 This entry was posted in school and tagged Grosset & Dunlap, Mindy Pierce, Natasha Wing, Penguin Young Readers Group, The Night Before the 100th Day of School. Bookmark the permalink. Links to ideas for teachers. Great ideas for teachers. Please share with your friends.